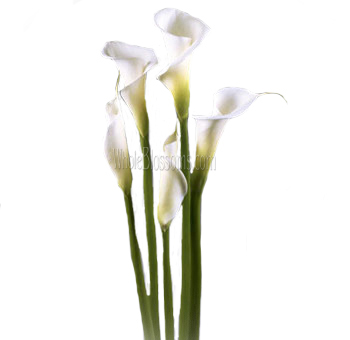 Calla Lilies are exquisite flowers with long trumpet-shaped blossoms and thick fibrous stems. 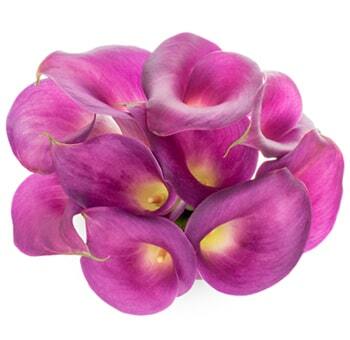 A fresh calla is mostly open but with the outer petal still reaching upward. The flower shows good color and no bruising. 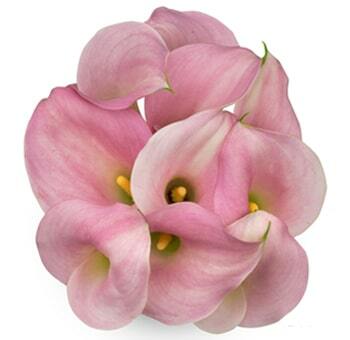 Older callas have outer petal curving downward, with the middle of the flower exposed. 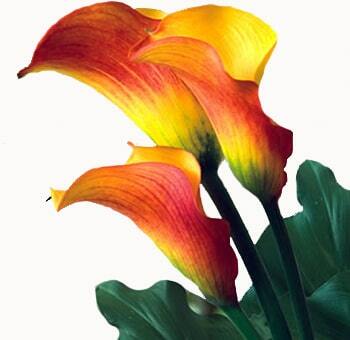 The flowers may also have bruising or discoloration, especially on the outer edges of the petal. 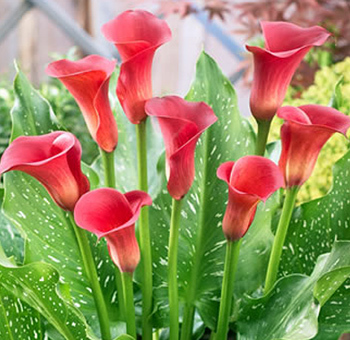 Callas have thick, fibrous stems that act much like a sponge. The stems absorb and hold water. 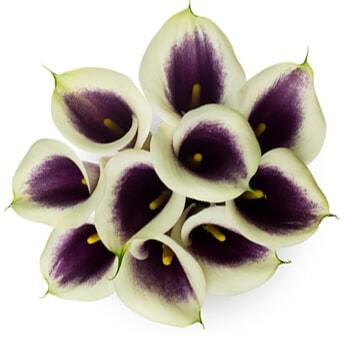 This is why callas have such a long vase life of about 10 days or more. They are a very low maintenance flower, but be sure to recut the stems every few days to allow fresh water to penetrate the blossom. 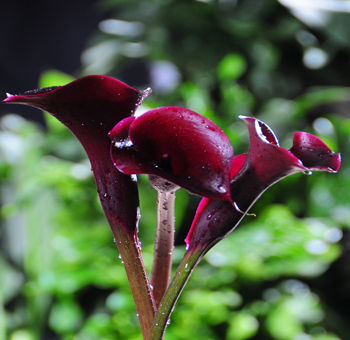 Calla stems sometimes turn to mush because the stems hold the water and the ends become clogged. They need constant water flow to remain fresh. They are also available in miniature varieties. Some colors you might like are: white, shades of yellow, pink to deep rose, orange to Chinese red, salmon, burgundy, black, and there are also a green variety. 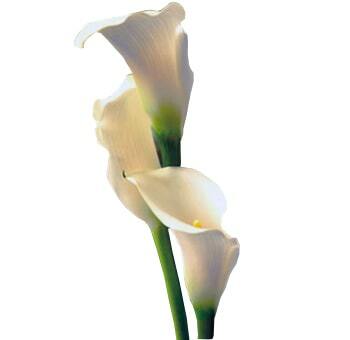 Calla lilies symbolize magnificent beauty. 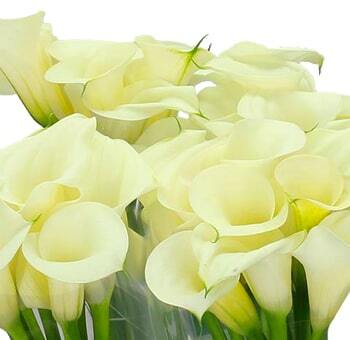 Calla lilies are exquisite flowers with long-trumpet blossoms and thick fibrous stems. 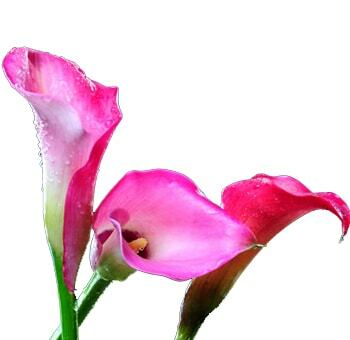 A fresh calla is mostly open, but with the outer petal still reaching upward. 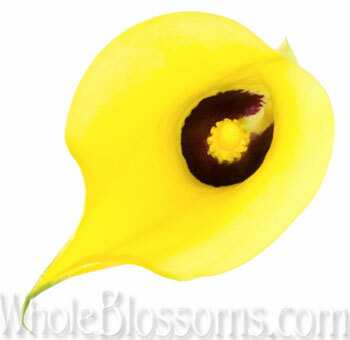 The middle of the flower is clean and shows very little signs of bruising. 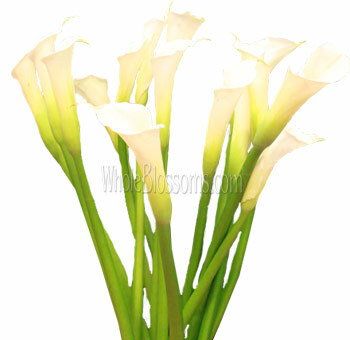 We have Wholesale Calla Lilies For Sale that can be quite an amazing attraction. Understanding more about this splendid variety is beneficial before planning a wedding or special event. 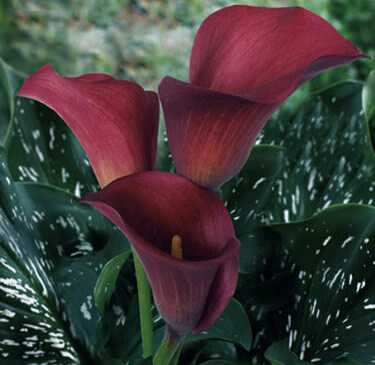 Callas have thick, fibrous stems that act much like a sponge. 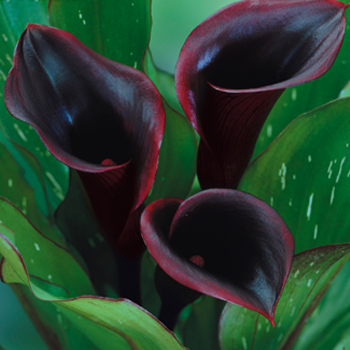 The stems absorb and hold water. 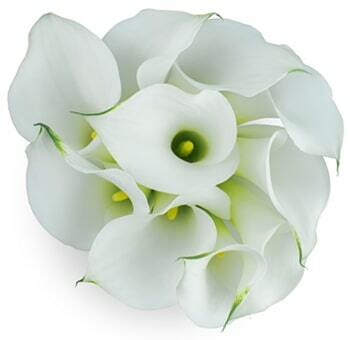 This is why callas have such a long vase life. They are a low-maintenance, however, please be sure you recut the stems every few days to allow fresh water to penetrate to the blossom. Sometimes they turn to mush because the ends of the stems become clogged. They need a constant water flow to remain fresh. There is something about seeing them in vases that reveals elegance in their simplicity. They reveal beauty. 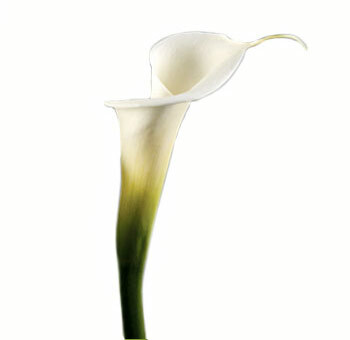 Calla in the Greek means, magnificent beauty and often connected with Venus in Roman mythology. 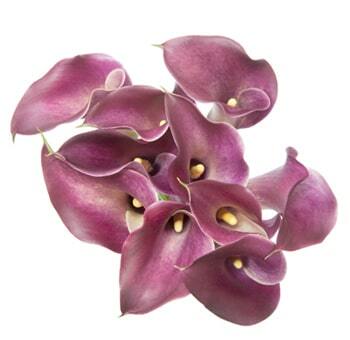 There are many different varieties of color, such as: Pink, Black, Purple, White Calla Lilly. There are also many other varieties, such as: yellow, pink to deep rose, orange to Chinese red, salmon, and burgundy. There is also a variety called, "green goddess". 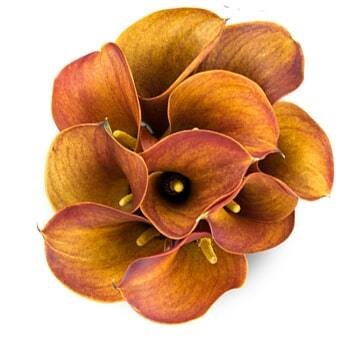 Depending on the color and theme of your wedding, Wedding Boutonnieres can be very sophisticated and stylish. 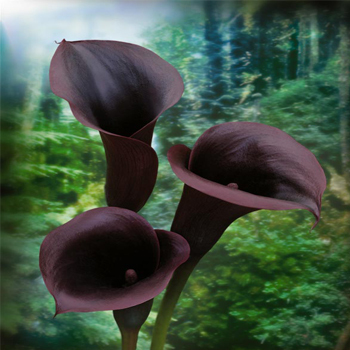 It’s also known by many other names such as: Arum Lily, and Zantedeschia. The most common variety is the tall. Another thing to realize is that it doesn’t have a scent, but has a vase life of about 10 days or more. 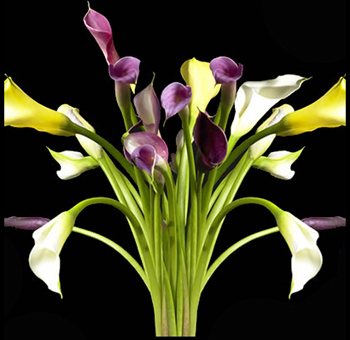 Callas are designed to hold water. They are available all year, but late winter to late spring is the peak season. 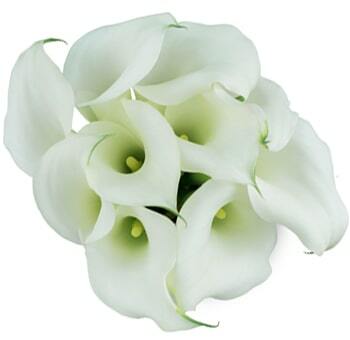 It has long been a symbol of purity, and is widely used in weddings as well as funerals. It’s the epitome of elegance. 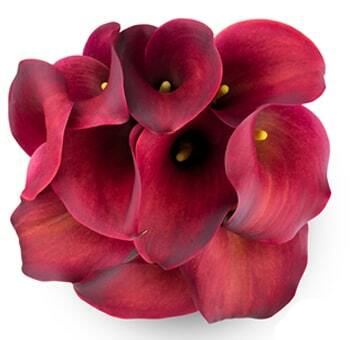 These flowers can add drama to any combination, but have just as strong a presence used alone. They are heavy drinkers and require a frequently steady water level. Bridal bouquets began in medieval times as a small nosegay of sweetly scented flowers. Over the years they have changed and expanded and in the Victorian times they became a wedding essential. The growth of the floristry business and the development of the skills of individual florists in the last century have made it possible that you can have a bouquet fashioned into just about any shape you like. Each flower head can be individually wired and the shape then constructed. The bouquet can take the form of half moon, a curved pear, a heart, or even the letter of the alphabet. Wiring flowers also makes them lighter, and the handle of the bouquet will be thinner in most cases. It can often be advantageous for the bride to request a wired bouquet. A heavy bouquet can be uncomfortable over the length of the wedding day. 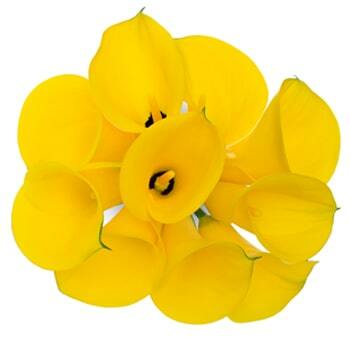 By far the most common shape for a bouquet, however, is the tear-shaped cascade bouquet or shower. Although these are generally thought to be quite traditional, there are ways of making them contemporary, and in the hands of skilled DIY individuals, these bouquets can become very individual and imaginative. If you require a shower of cascade bouquet, it is possible to have the flowers bound with their natural stems, but sometimes it is best to have them wired together. There are two main reasons for this. Some flowers are simply too short and need to be wired to gain the extra length required. Others are too fragile and they will last better if they are wired and taped into place. 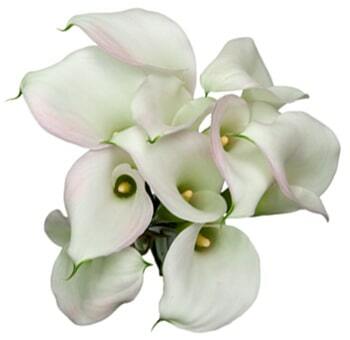 There are many ways to make a calla lily flower arrangement, but a lot of it depends that what you are hoping for and the place you are going to have your wedding. Having set your date the next thing to do is to decide on the location and time of your ceremony. Traditionally the wedding was held close to the bride's home, but if the bride and groom are arranging the wedding themselves, they may choose to hold your ceremony, there will, at some stage, be an exchange of vows, and this is the spiritual part of the day. The specifics of the ceremony will depend on your beliefs and preferences, and you may well have the opportunity to make this unique to you. Due to the immense range and style of wedding ceremonies, the choice of decoration also varies enormously. It may be that you have for a backdrop the hillside of a beautiful resort, or Oceanside. Whatever religious preference and budget, there are certain ways that can make a service more spiritual. The use of outside candles outside the site in hurricane lamps or inside on stands adds ambience. 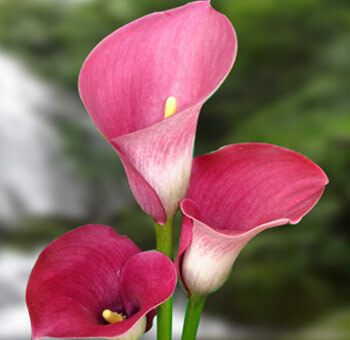 Once you have picked your location and setting, you can now assemble a flower arrangement with calla lilies that meets the need of you joyous occasion. 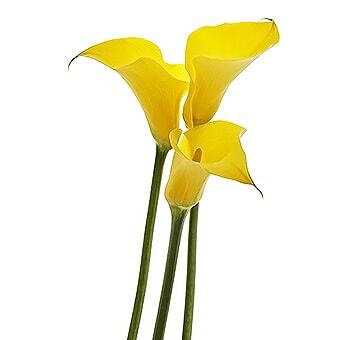 You may try using a stemmed glass bowl and line with oak leaves filled with other flower varieties of the same color calla lily. 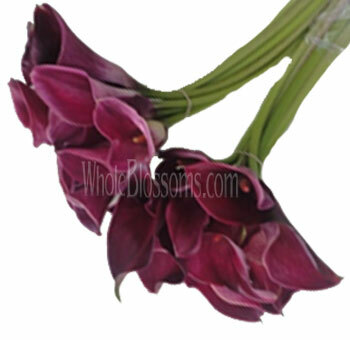 You may choose other varieties such as allium, amaryllis, roses, garden roses, peonies, carnations, tulips. Chrysanthemums rose petals, and so much more. There is literally no end to the imagination of creating specific floral designs that meet your expectation and desires. If you have any questions, our dedicated team of helpful staff members would be glad to help you in any way possible. There are thousands of weddings that take place every year and thousands of designs and styles to fit your need and budget. Once you are ready, we can assist you. 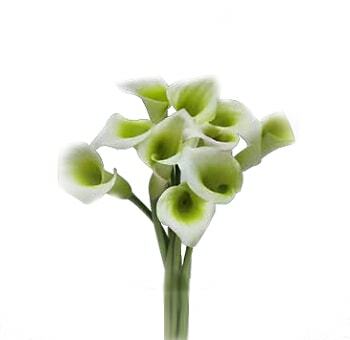 We make sure we find the freshest calla lilies from all over the world because we know that this moment is one of the most important moments of your life.